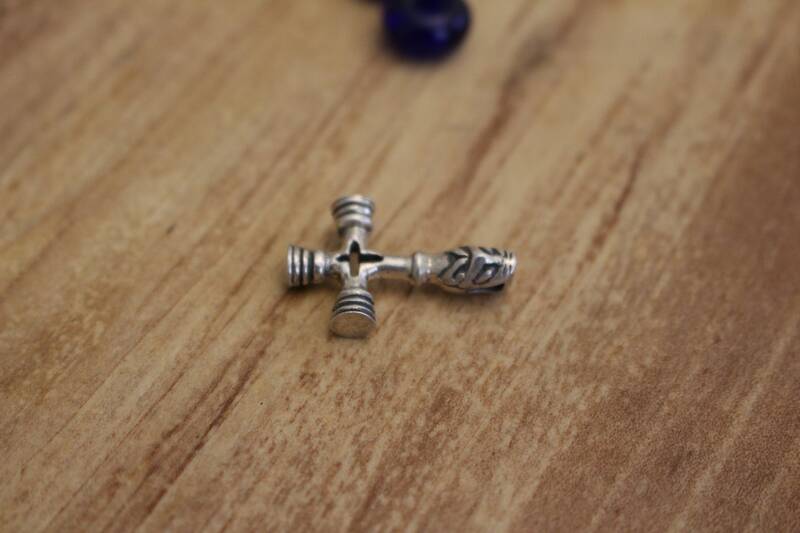 A solid sterling silver replica of the famous wolf - topped cross and Mjölnir pendant from Foss, Iceland. It comes with a leather cord and optional handmade beads; the cord is strung through the wolf’s teeth. 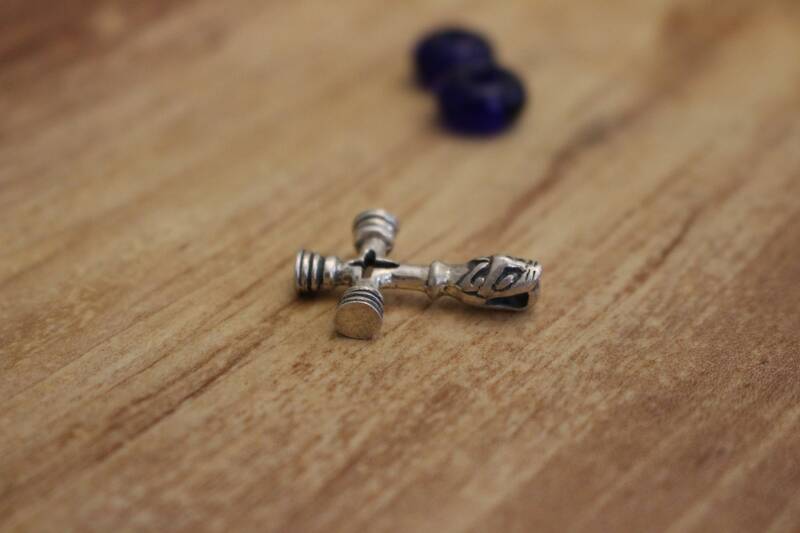 The story of this piece is fascinating; it is an 11th century Viking Age piece and was likely created in allegiance to Thor because it is shaped as his hammer, Mjölnir. 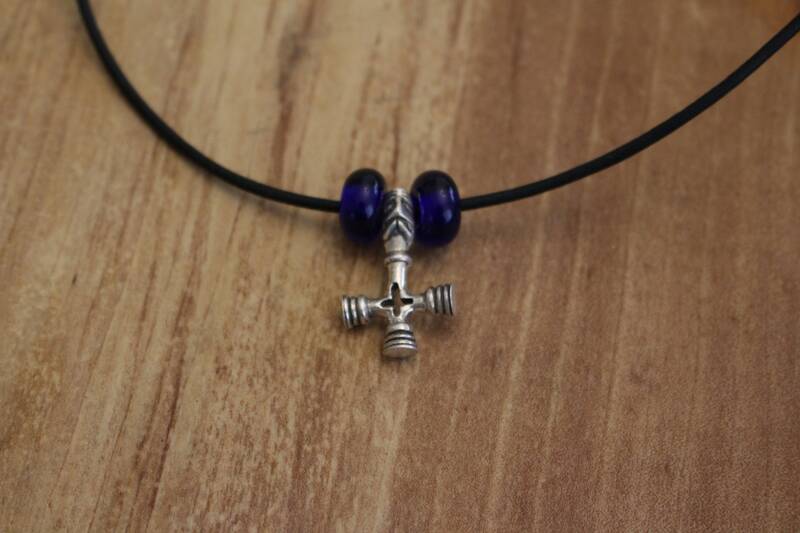 However, it can also be easily flipped to appear as a Christian cross. During this time for the Vikings of Iceland, trade was necessary for survival, and some of their trade agreements could only be sealed based on religious similarity. Catholicism was a growing power in mainland Europe. 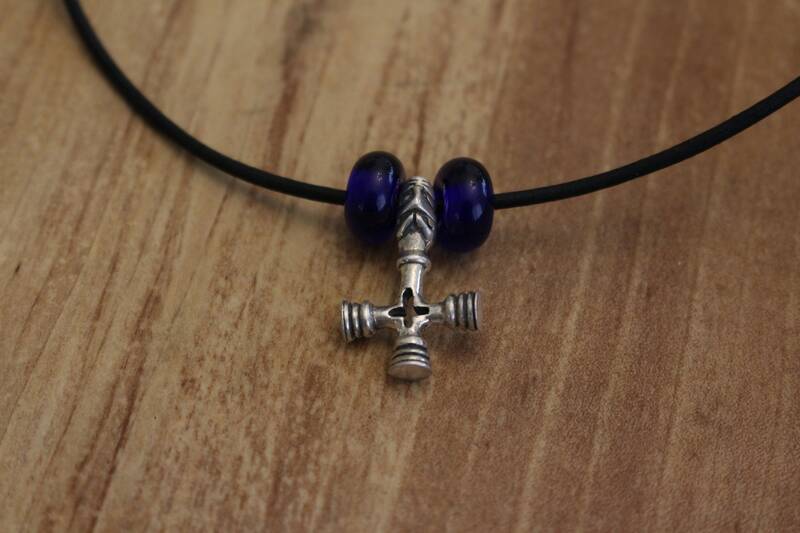 It is possible that this was worn in allegiance to the god Thor as well as the Christian god, or that it was flipped when trading with those of Christian faith.